Would you like to drastically improve your photo skills in one afternoon? Well join your fellow horse lovers for an awesome day of learning and fun! We'll begin with a two hour seminar which will cover everything you need to know to get started, followed by a one hour stylized photo shoot in the most gorgeous desert location, in which you can put your newfound skills to use. ﻿Our winter workshop will run from 2 PM - 6 PM on Saturday, January 13th. Rain date is Sunday, January 14th. The seminar portion will take place at my home in North Phoenix and we will then drive to one of my favorite shooting areas located near Shea & the 101 (about 15-20 minutes away) for the model session. After spending so much time in front of my camera, these two are absolute pros, not to mention all-around gorgeous. Carly is one of my favorite clients and people, she's super excited to help and join the fun! The top photo shows the exact area where we will be shooting. Isn't it amazing? As a bonus, you'll get a FREE signed copy of her first book, In The Reins to bring home with you! If you'd like to learn more about Carly and her books, please visit her site at www.carlykadecreative.com. Please note, we will NOT cover anything related to running a business, marketing, sales, etc. 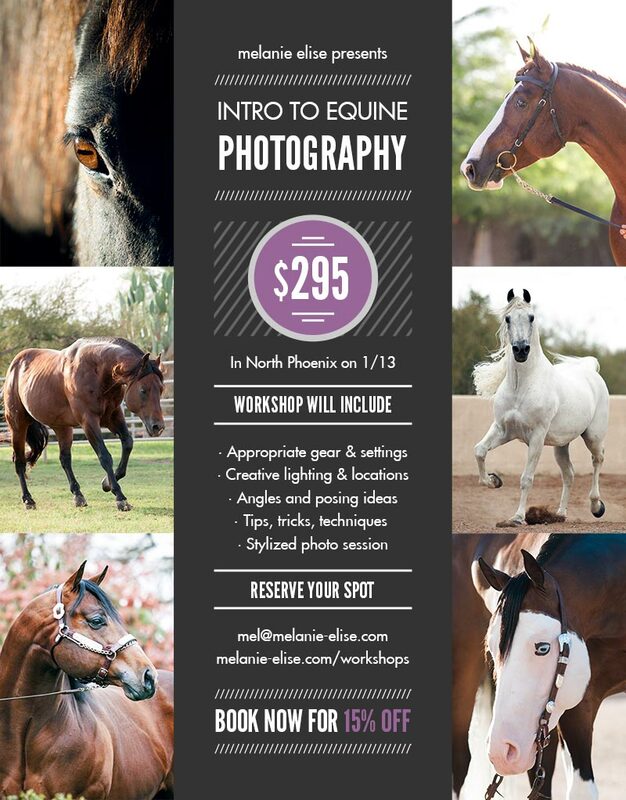 This workshop is geared towards horse owners & lovers, breeders, trainers, and other equestrians looking to take better pony photos. There are only 10 spots available to keep the education personalized. I learned so much from Melanie about posing and striding, plus learning the basics of my camera. She helped me trasition from shooting on Auto to Manual, and it's made a world of difference in my photography! This is Hailey and I recently attended one of your photography seminars. I saw that you put the pictures up on your website and would like to thank you! Your tips helped so much! 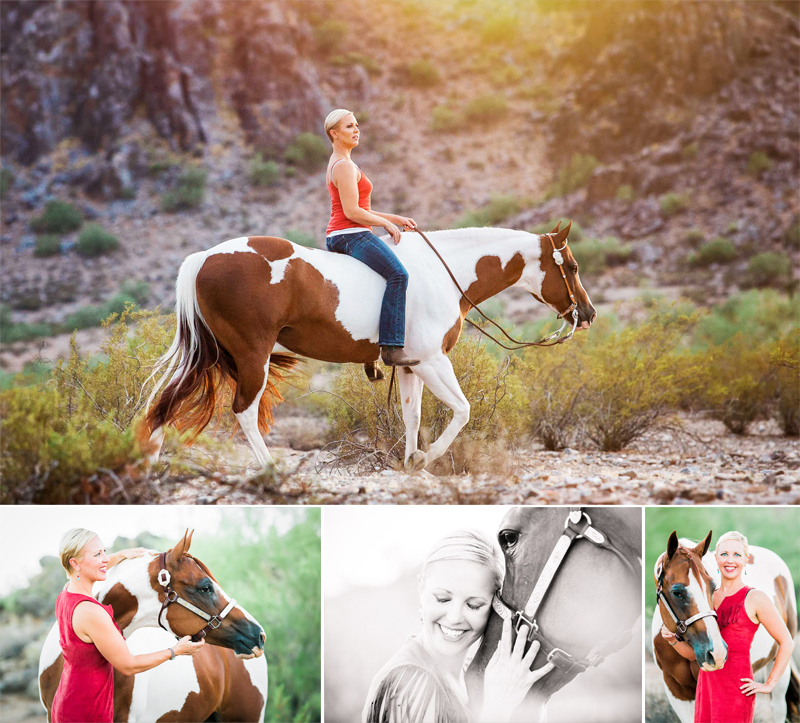 Mel is an international award-winning equine photographer and educator based in Phoenix, Arizona.